Barcelona, Spain— Premier Rides, a global supplier of high caliber innovative theme park attractions, garnered international acclaim during the prestigious 5th annual European Star Awards which recognized two of Premier Rides’ installations in the categories of “Best Water Rides” and “Best Roller Coasters” in Europe. The awards recognize entrepreneurship, courage and innovation within the European theme park industry. A panel of international experts reviewed attractions spanning across Europe, including Turkey and Russia, to select the best of the best. 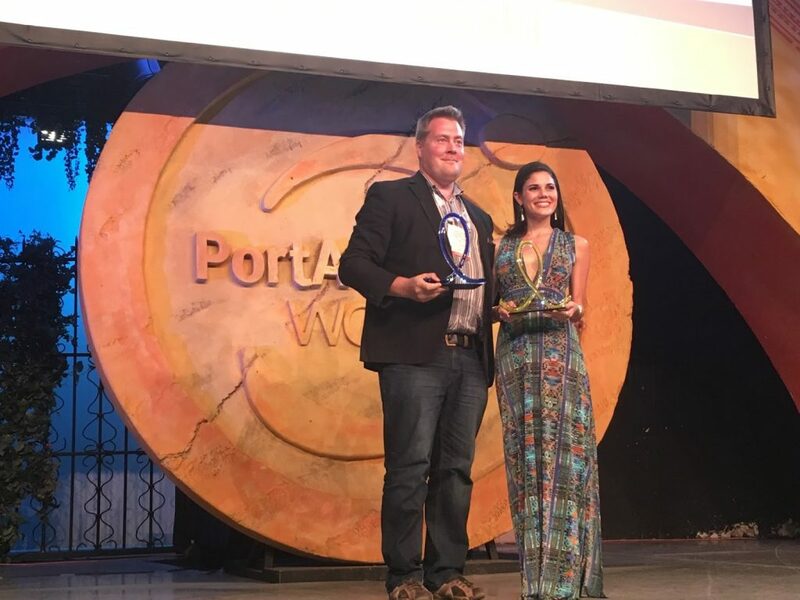 The award ceremony, organized by the independent trade journal Kirmes Park & Revue, was hosted by PortAventura World Barcelona, Spain. Here it was revealed that Linnanmäki’s “Vonkaputous” located in Helsinki, Finland was honored as one of Europe’s best water rides and “Sky Scream”, located at Holiday Park in Hassloch, Germany, as one of Europe’s best steel coasters for 2016. The ride has been a spectacular success for Holiday Park Germany, drawing a record-number of coaster enthusiasts and thrill-seekers to the park since its opening in 2014. Guests have traveled from both near and far to enjoy the high-adrenaline thrill of Sky Scream. 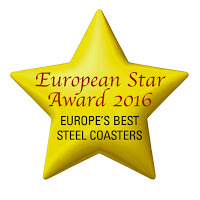 The ride won a European Star Award in 2014 in the category of Best New Rides, and in 2015 in the category of Best Steel Coasters. The zombie-themed launch coaster is not for the faint of heart. The magnetic technology allows the ride vehicle to be launched forward, then in reverse, then forward again even faster. It features a twisting heart line inversion, ascending and descending twists, two vertical rolls and a non-inverting loop. The European Star Awards are presented annually at the Euro Attractions Show, an IAAPA conference and trade show featuring over 410 exhibitors and more than 100 products and services. The European Star Awards are bestowed upon recipients by Kirmes Park & Revue, Europe’s leading trade magazine. The European Star Awards boast 11 categories and are dedicated explicitly to rewarding high levels of innovation and superior design in the European theme park industry. Plopsa is the theme-park business division of Studio 100. Plopsa currently operates three parks in Belgium, Plopsaland De Panne, Plopsa Indoor Hasselt and Plopsa Coo; one park in the Netherlands, Plopsa Indoor Coevorden and the adventure park, Holiday Park located in Germany. The parks unite the Studio 100 characters and a variety of attractions under one roof. At the parks, visitors can enjoy the popular Studio 100 characters such as the Gnome Plop, Samson & Gert and their friends Mega Mindy, Pirate Pete, Bumba and others.